Séverine Ferrolier in Paquita grand pas classique variation. Choreography by Marius Petipa and Alexey Ratmansky. Music by Édouard Deldevez and Ludwig Minkus. Shot on 10.12.2014 in Bayerische Staatoper Munich, during main rehearsal. 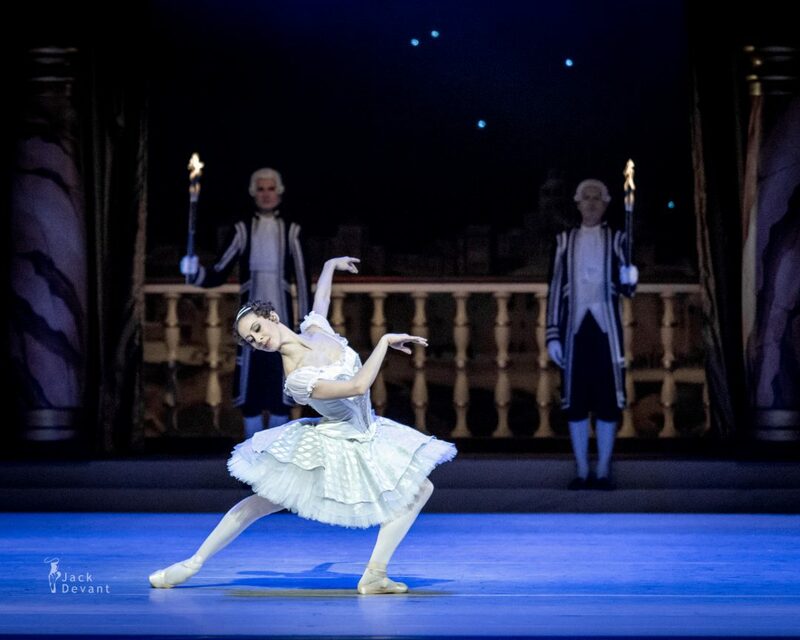 Séverine Ferrolier is first soloist with Bavarian State Ballet. Ferrolier was born in Toulon/France, trained at the Centre de Danse Christiane Espitalier de La Valette. Having graduated, she danced with the ballet at the Opéra de Toulon, the Ballet National de Nancy under the direction of Pierre Lacotte and with the English National Ballet in London. Between 1997 and 2004 she was engaged at Leipzig Ballet under the direction of Uwe Scholz, since 2002 as a First Soloist. In 2004 she became a member of the Bavarian State Ballet.